TEMPANY DECKERT: What Books Have Great Endings? IS AN ENDING AN ENDING? 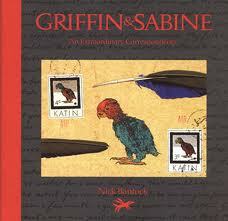 I just read the brilliant Griffin and Sabine. It's an amazing story comprised of letters between depressed Griffin stuck in London and Sabine, an illustrator living on an exotic island. My book, Its Yr Life, was also a book comprised of letters (emails) so this form of writing really excites me. I loved everything about this book...except the ending. But I have read countless amazing books that have awful endings. So what makes a good ending? Let me know what books you love that have a satisfying ending. They are rare birds indeed!